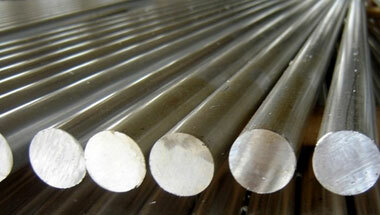 Aluminium Round Bars & Rods Manufacturer, Aluminium Alloy 6063 Round Rods Supplier & Exporter in India. Manufacturer & Exporter of Aluminium 6061 Round Bars & Rods, Aluminium 6101 Hex Bars, Aluminium 6063 Square Bars & Aluminium 6082 Round Rods Supplier in India. Backed by a team of expeditious and hardworking procuring agents, we Neon Alloys are affianced in Manufacturing & Exporting a wide range of Aluminium Round Bar, which are used in various industrial applications. Our offered aluminium round bars are precisely manufactured using top notch material by our experts following the set standards of industry. This assortment is duly inspected by our quality experts on the basis of well-defined parameters before delivering at the client’s end. Our aluminum rods are light in weight with high strength-to-weight ratio. Our Aluminium round bars & rods are known for its Good machinability, especially free-cutting qualities, good mechanical properties, Excellent surface and finish capability. Aluminium Round bars & rods are used extensively in Aircraft fittings, gears and shafts, fuse parts, meter shafts and gears, missile parts, regulating valve parts, worm gears, keys, aircraft, aerospace and defense applications; bike frames, all-terrain vehicle (ATV) sprockets etc. Aluminium Alloy 6063 Rods, Aluminium 6082 Round Bars, Aluminium 6061 Round Rods, Aluminium Alloy 6061 Hexagonal Bars, Aluminium 6063 Bright Bars Supplier & 6061 Bars Exporter in India. Germany, Thailand (Bangkok), Vietnam, Jordan, UK, Venezuela, Dubai, Italy, London, Saudi Arabia, Kazakhstan, Ethiopa, Houston, Sudan, United States, Canada, Israel, Kuwait, Africa, Turkey, Trinidad and Tobago, Russia, Malaysia, Bahrain, Nigeria, Azerbaijan, Argentina, South Africa, Peru, Democratic Republic of the Congo, Uganda, Iran, Mozambique, Egypt, Indonesia, Australia, Iraq, Sri Lanka, Chine, Morocco, Ghana, New Zealand, Brazil, Algeria, Cameroon, Mexico, UAE, Colombia, Angola, Tunisia. Subra al-Haymah, Freetown, Cairo, Dar es Salaam, Colombo, Data from the UN, Algiers, Antananarivo, Brazzaville, Kolwezi, Byblos, Mbuji-Mayi, Zaria, Dammam, Kampala, Bulawayo, Hong Kong, Abu Dhabi, Pretoria, Maputo, Harare, Rabat, Istanbul, Tripoli, Tehran, Mogadishu, Durban, Mecca, Port Harcourt, Lubumbashi, Lagos, Ibadan, Beirut, Sharm el-Sheikh, Addis Ababa, Manama, Lusaka, Bamako, Maiduguri, New York, Giza, Aqaba, Amman, Fez, Nairobi, Omdurman, Yaoundé, Kinshasa, Kaduna, Cairo, Bethlehem, Kano, Abidjan, Benin, Cape Town, Soweto, Port Elizabeth, Tel Aviv, Casablanca, Dubai, Douala, Luanda, Jeddah, Ouagadougou, Doha, Alexandria, Dakar, Riyadh, Muscat, Khartoum, Singapore, Accra, Conakry, Jerusalem, Johannesburg.